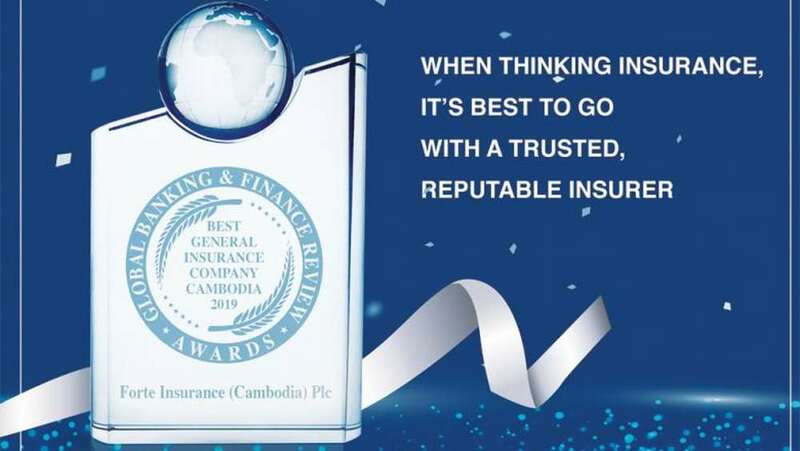 Forte Insurance (Cambodia) PLC continued to set industry-leading benchmarks when the nation’s largest insurer was recognized as the Kingdom’s Best General Insurance Company for the fifth consecutive year. Presented by acclaimed international magazine Global Banking & Finance Review, the award is again testament to Forte’s innovative personal and corporate products. These offerings, alongside a strong passion to develop the industry and a customer-first approach to business, have been the insurer’s guiding principles since setting up shop in the capital in 1998. Today, as it celebrates its 20 th anniversary this year, Forte remains the local market share leader, having held that position since 2003. It currently commands a leading 45.6% share, with $39.5 million in total premiums in 2018. To make its celebrations sweeter, Forte recently received its license to venture into life insurance via Forte Life Assurance (Cambodia) PLC. Another current highlight includes the acquisition of Tokojaya Lao Assurance Co. Ltd, which gave the insurer a foothold in Lao PDR. Cheo dedicated the award to Forte’s staff, some of whom have been with the company for over a decade. In 2019, Forte will aim to explore other regional markets while focusing on their core strengths – developing unique, localized offerings and creating further awareness of how insurance can positively impact the lives of Cambodians. Global Banking & Finance Review awards are recognized throughout the global banking and financial community. Open to companies of all sizes, award winners are selected based on criterion that include innovation, achievement and strategy. For more information on Forte Insurance, visit www.forteinsurance.com or call 023 885 077.